RacingThePlanet: Georgia 2020, The Great Caucasus, is the 12th edition of the RacingThePlanet Ultramarathon. It will take place in the foothills of the Caucasus Mountains in Georgia, at the crossroads of Eastern Europe and Western Asia. The host town, Tbilisi, the picturesque capital of Georgia, is a short flight from most European cities. Georgia (Georgian: საქართველო, Sakartvelo) is also known as the Gem of the Caucasus. It is sandwiched between Russia to the north, Turkey and Armenia to the south, Azerbaijan to the southeast, and sits along the coast of the Black Sea. 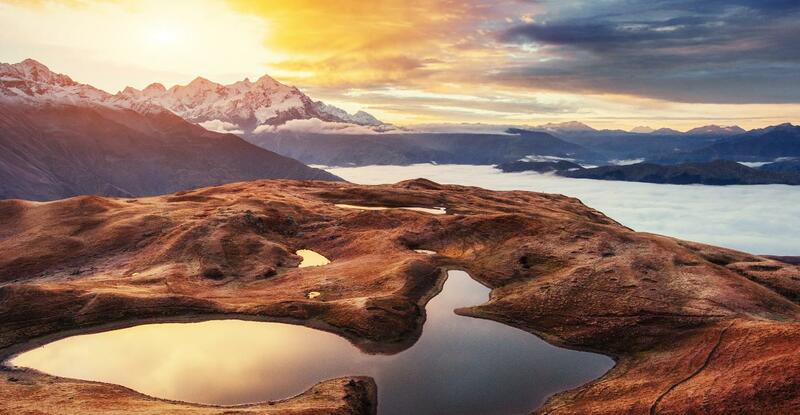 A mountainous country, Georgia is home to some of Europe’s highest mountain peaks. 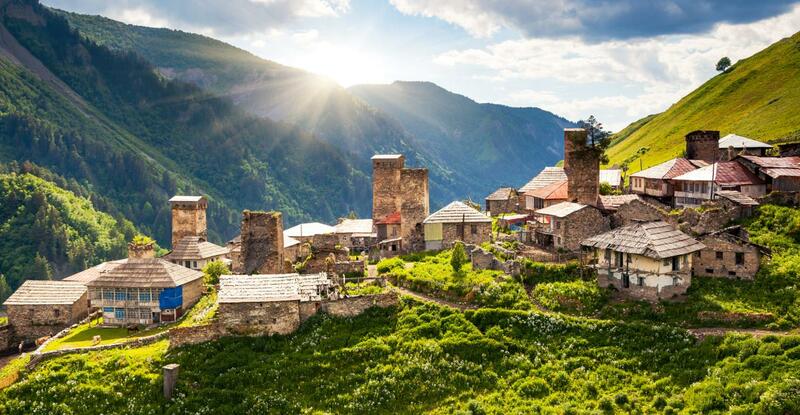 Despite its modest size, the country has a huge mix of other landscapes and micro-climates, ranging from dry wine-growing valleys and dry arid desert areas in the east, to lush vegetation, caves, canyons and bamboo forests when you near the coast of the Black Sea in the west. Georgia is a relatively small country, covering a territory of 69,700 square kilometres / 26,911 square miles and has a population of just under 4 million. Relying heavily on agriculture, only 5% of Georgia’s population is people! A democratic country, Georgia has been independent from Russia for 101 years. Despite this, the country presents a fascinating amount of ancient history. The first Europeans are said to have arrived through Georgia on their way from Africa to Europe. 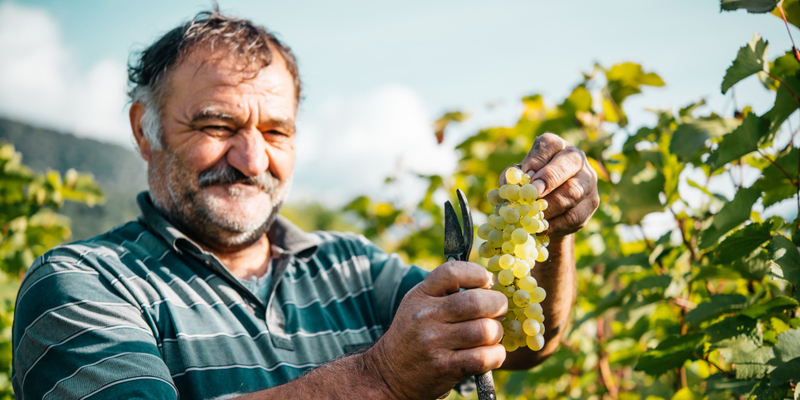 Modern archaeological evidence suggests that Georgia is also the oldest winemaking country in the world, with some wine samples dating back 8,000 years. To support this rich heritage, Georgia's cities and countryside are complete with medieval churches and monasteries, several of which are UNESCO World Heritage Sites. 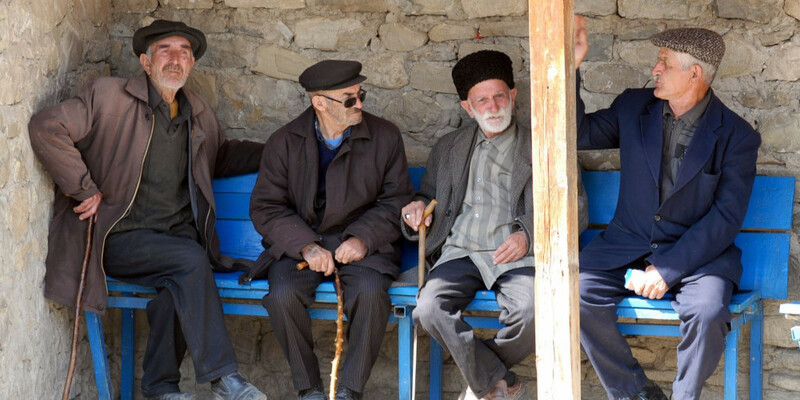 Georgia is considered a safe country with low levels of crime and corruption, and the locals are friendly and hospitable. 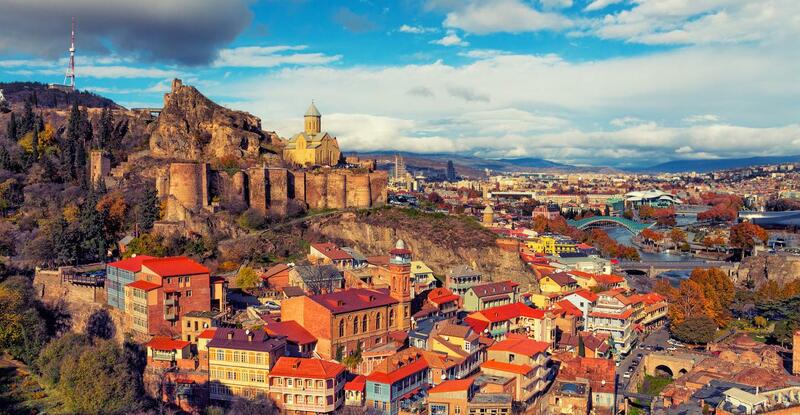 The host town of the race, Tbilisi, is one the world’s most charming capital cities. It is located in the centre of Georgia, lying on the banks of the Kura River with a population of approximately 1.5 million people. 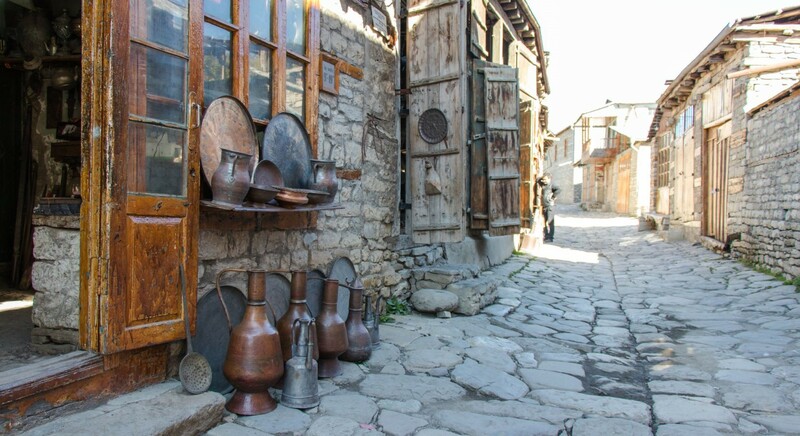 Its cobblestoned old town reflects a long, complicated history, with times under Persian and Russian rule. Its diverse architecture encompasses Eastern Orthodox churches, ornate art nouveau buildings and Soviet Modernist structures. 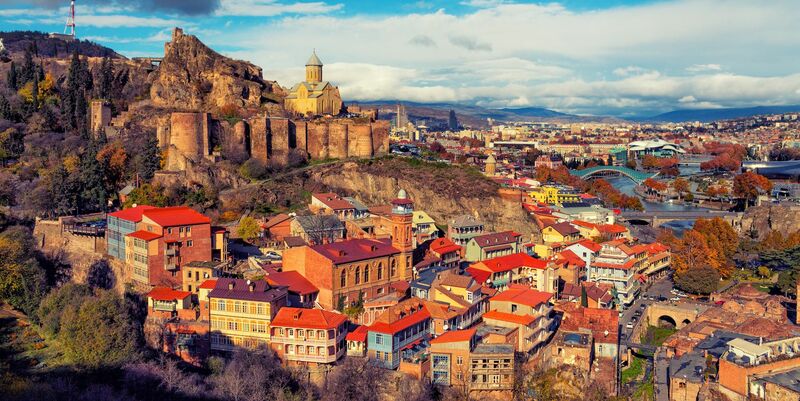 Due to its location at the crossroads of Europe and Asia, and its proximity to the lucrative Silk Road, Tbilisi was a point of contention among various global powers throughout history. Georgia is located in the mountainous South Caucasus region of Eurasia, straddling Western Asia and Eastern Europe between the Black Sea and the Caspian Sea. 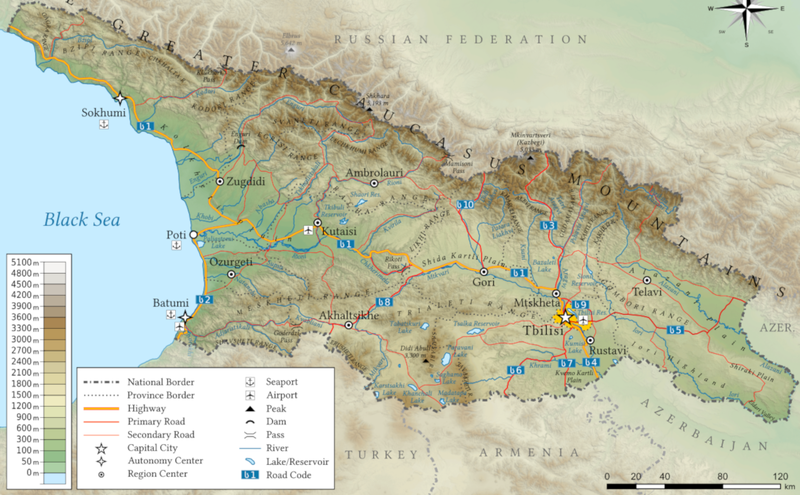 The northern border with Russia roughly runs along the crest of the Greater Caucasus mountain range, which forms a boundary between Europe and Asia. Historically, Georgia was often considered part of Asia but Georgia's proximity to the bulk of Europe, combined with various cultural and political factors, has led increasingly to the inclusion of Georgia in Europe. Despite its small land area, Georgia has one of the most varied topographies of the former Soviet republics. The northern boundary is defined by the Greater Caucasus range. 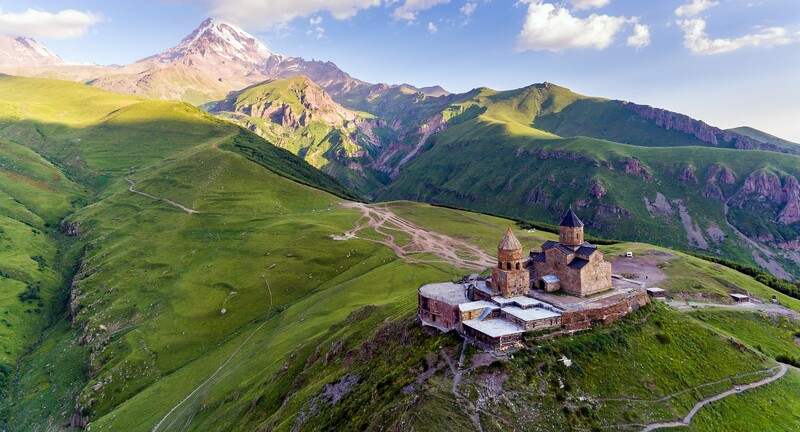 The Lesser Caucasus range, which runs parallel to the Turkish and Armenian borders, and the Surami and Imereti ranges, which connect the Greater Caucasus and the Lesser Caucasus, create natural barriers that are partly responsible for cultural and linguistic differences among regions. Because of their elevation and a poorly developed transportation infrastructure, many mountain villages are virtually isolated from the outside world during the winter. 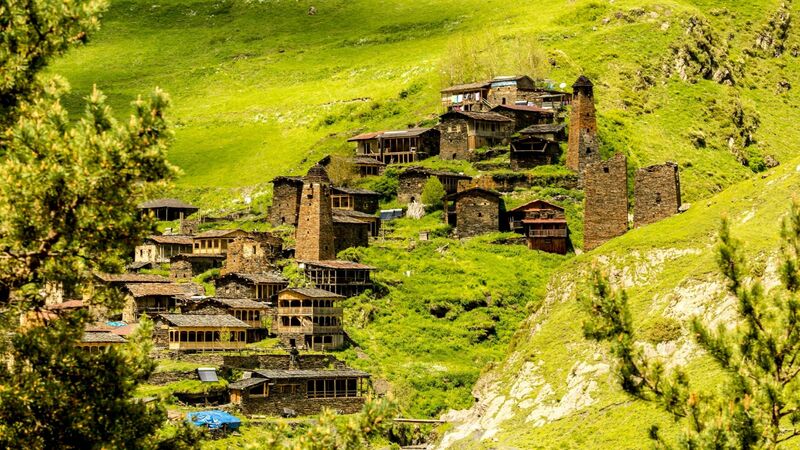 These villages are some of the highest and oldest in Europe. 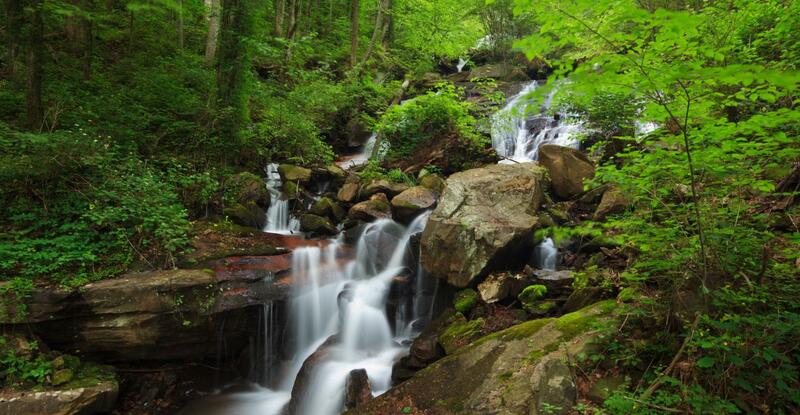 Georgia has about 25,000 rivers, many of which power small hydroelectric stations. Drainage is into the Black Sea to the west and through Azerbaijan to the Caspian Sea to the east. The largest river is the Kura River which flows 1,364 km / 847 miles from northeast Turkey, across the plains of eastern Georgia, through the capital, Tbilisi, and into the Caspian Sea. The coastline of Georgia is 310 km / 192 miles long. Due to its location and land formation, the country has many different climates: Georgia is located between the moderately humid Mediterranean and the dry continental Aral Caspian areas, which define the climate of the country. A humid subtropical climate dominates in western Georgia, while eastern Georgia features a transition from subtropical to moderate. The climatic zones range from humid subtropical to eternal snow and glaciers. The greater Caucasus range moderates local climate by serving as a barrier against cold air from the north. Annual precipitation varies from 1,000 to 2,800 mm on the coastal and central area, to 300 to 600 mm in eastern Georgia. On the Black Sea coast, from Abkhazia to the Turkish border, the dominant subtropical climate features high humidity and heavy precipitation. Several varieties of palm trees and bamboo forest grow there. Midwinter average temperature here is 5°C / 41°F and the midsummer average is 22°C /72°F. 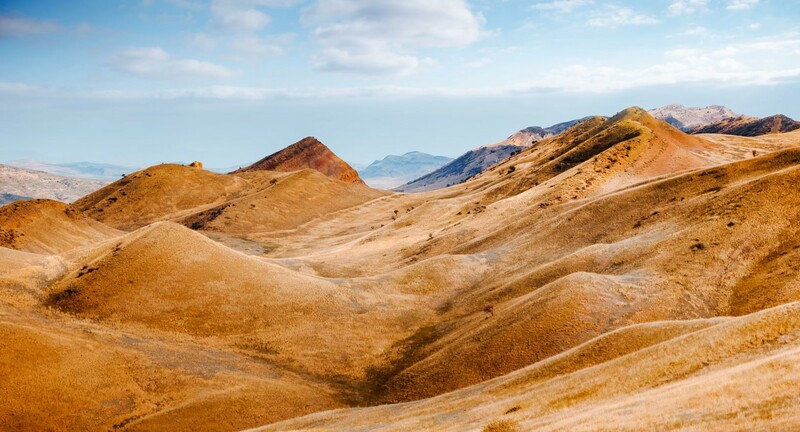 The plains of eastern Georgia are shielded from the influence of the Black Sea by the mountains of Likhi that provide a more continental climate. Average temperature in summer here is 20-24°C /68-75°F, and in winter 2-4°C/ 35-40°F. Humidity is lower. Alpine and highland regions in the east and west, as well as the semi-arid region on the Iori plateau to the southeast, have distinct microclimates. Alpine conditions start at 2,100 meters / 6,890 feet and above 3,600 meters / 11,811 feet year-round snow and ice is present. RacingThePlanet: Georgia, The Great Caucasus takes place at the end of summer (late August / early September) which is considered the end of the summer. It is still one of the hottest periods, with temperatures reaching up to 30°C / 86°F. At night temperatures can drop to 5°C / 41°F. The days are typically sunny and there is less chance of rain than during the early months of the summer. The culture of Georgia has evolved over the country's long history, providing it with a unique national culture. This has provided a strong sense of national identity that has helped to preserve Georgian distinctiveness despite repeated periods of foreign occupation. Georgian culture is an exotic, mysterious and ancient one that stretches back a thousand years. 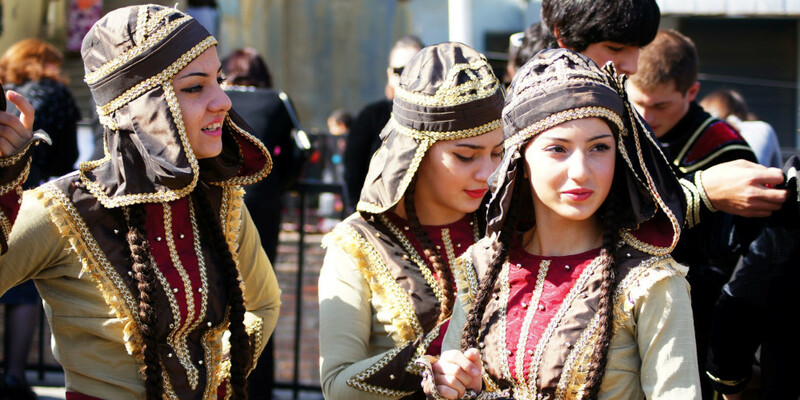 It combines elements of Anatolian, European, Persian, Arabian, Ottoman and Far Eastern cultures that have influenced Georgia’s own ethnic identity resulting in one of the most unique and hospitable cultures in the world! Georgian people are world renowned for being accommodating and tolerant. Traditionally, they consider guests to be a gift from God and their friendliness is immediately apparent upon a traveller's arrival. Georgia’s strategic geographic location between Europe and Asia is one of the primary reasons for its diverse, yet distinct, cultural features. Its vector on the historic Silk Road enabled important trade connecting the north, south, east and west. This junction of commerce, along with Georgia’s own bounty of resources, combined to form a definitive mix of cultures. Throughout history, pockets of isolation in the remote mountain areas have maintained much of their primeval peculiarity. 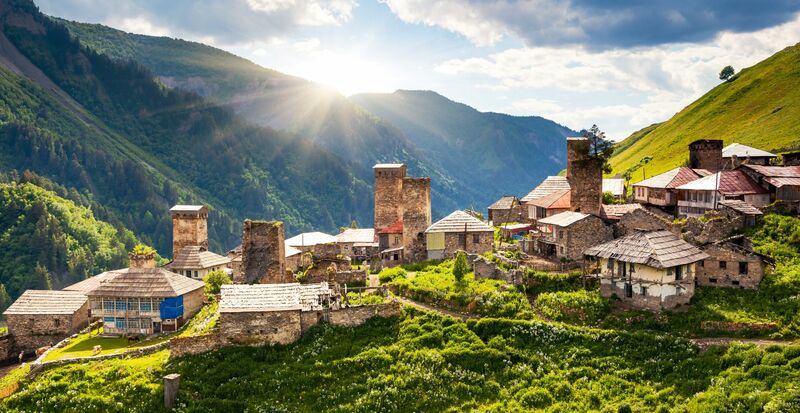 The isolated mountain villages offer the visitor a glimpse into the authentic Georgian way of life. Georgian monumental architecture, world famous polyphonic singing and traditional music, book miniature, rich literature, colorful folk dances and ballet, theatre and cinema, jewellery, metal works and paintings are trademark qualities of this ancient culture. The period between the eleventh and twelfth centuries was the Renaissance of the Georgian state when monks in academies, churches and monasteries put forward new humanistic ideas. Even during the Middle Ages, philosophy and historiography, theology and law, poetry and art, all flourished in Georgia. Architecture, astronomy and geography were being developed. Georgian cuisine is considered one of the main attractions for tourists. It is very specific to the country, but also contains some influences from the Middle Eastern and European culinary traditions. The cuisine offers a variety of dishes, rich in various herbs and spices. 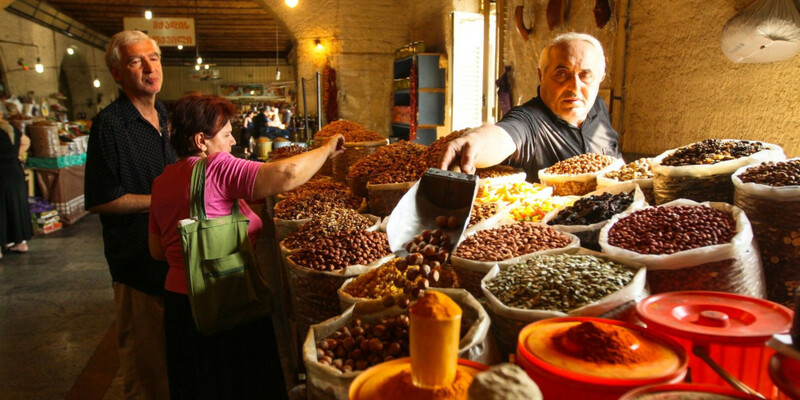 Each historical province of Georgia has its own distinct culinary tradition, with variations such as Megrelian, Kakhetian, and Imeretian cuisines. The food, in addition to various meat dishes, also offers a variety of vegetarian-based dishes. The cuisine is very varied with different dishes cooked daily.